One of the most effective tools for protecting, preserving, and passing on wealth to heirs is the spendthrift trust. It's a unique tool for keeping a family's money safe from not only creditors but also from the heirs themselves. First, you should familiarize yourself with the fundamentals of trust funds, including the definition of terms such as grantor, beneficiary, and trustee. It's also helpful to know how a trust fund is structured and reasons an investor might want to set up a trust fund. They can be used to disburse in a controlled manner the money and assets they have accumulated over a lifetime. With those out of the way, understanding a spendthrift trust should be easy for you. A spendthrift trust is a trust account overseen by a trustee, such as an individual or corporate trustee, that controls the assets you leave. This includes hiring an asset management company, perhaps one structured as a registered investment advisor to invest the trust's money after you've made the trust irrevocable or died. 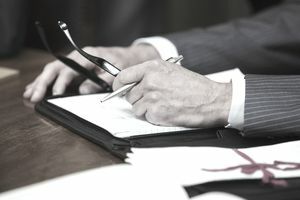 The beneficiary is forbidden from spending the money before they actually receive distributions, and the trustee has the authority to determine what payments are necessary according to the trust agreement. For example, if you left $5,000,000 to your favorite nephew, and the trust account generated $250,000 per annum in income that was paid out to him, he couldn't pledge the trust assets as collateral. If he did spend more than he was able to support--say he bought a $3,000,000 house--the creditors would be out of luck should he find himself unable to perform on the loan. The only cash they can collect from your nephew would be his $250,000 distribution. The principal of the spendthrift trust is still in place, generating dividends, interest, and rents safely and securely for decades to come. The process of establishing a spendthrift trust fund is identical to creating any other trust fund except the trust instrument must contain a spendthrift provision. Your attorney should be able to offer advice on the wording of this provision and what works best in your particular state. If this great protection from creditors exists, why not simply create a spendthrift trust and name yourself beneficiary? For public policy reasons, most states won't allow this. There are some exceptions, specifically the Alaska Trust, but you need to contact a qualified attorney for guidance.